赵红丹, 周君. 企业伪善、道德推脱与亲组织非伦理行为:有调节的中介效应[J]. 外国经济与管理, 2017, 39(1): 15-28. Zhao Hongdan, Zhou Jun. Corporate Hypocrisy, Moral Disengagement and Unethical Pro-organizational Behavior: Moderated Mediating Effect[J]. Journal of Weinan Normal University, 2017, 39(1): 15-28. DOI: 10.16538/j.cnki.fem.2017.01.002. Abstract: In recent years, corporate hypocrisy in the CSR performance process has been received more and more attention from the society. However, we still know little about the questions such as whether corporate hypocrisy can be transmitted to employees through social cognition or learning, thus leading to an internal chain phenomenon of unethical behavior. Based on social cognitive theory, this paper explores the impact of corporate hypocrisy on unethical pro-organizational behavior of employees, especially the mediating role of moral disengagement and the moderating role of moral identity in this mediation route. Using the 272 employee-colleague paired samples, it finds that moral disengagement plays a fully mediated role in the positive effect of corporate hypocrisy on unethical pro-organizational behavior of employees. Moreover, moral identity significantly moderates this indirect effect of corporate hypocrisy on unethical pro-organizational behavior of employees through moral disengagement, showing that this indirect effect is relatively stronger for employees with low moral identity and relatively weaker for employees with high moral identity. 樊帅, 田志龙, 林静, 等. 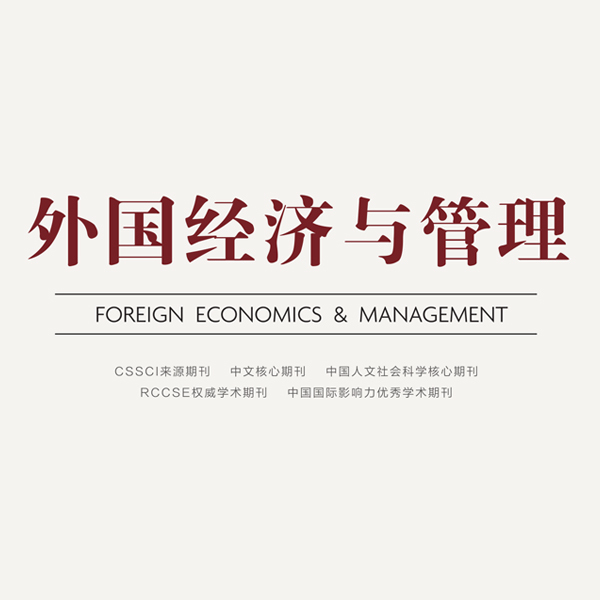 基于社会责任视角的企业伪善研究述评与展望[J].外国经济与管理,2014(2) : 2–12, 23. 傅旭波, 吴明证. 目标取向、道德认同、道德推脱与大学生运动员的反社会行为的关系[J].应用心理学,2014(1) : 40–48. 谭亚莉, 廖建桥, 王淑红. 工作场所员工非伦理行为研究述评与展望[J].外国经济与管理,2012(3) : 40–48. 温忠麟, 叶宝娟. 有调节的中介模型检验方法:竞争还是替补? [J].心理学报,2014(5) : 714–726. 温忠麟, 张雷, 侯杰泰. 有中介的调节变量和有调节的中介变量[J].心理学报,2006(3) : 448–452. 温忠麟, 张雷, 侯杰泰, 等. 中介效应检验程序及其应用[J].心理学报,2004(5) : 614–620. 吴明证, 沈斌, 孙晓玲. 组织承诺和亲组织的非伦理行为关系:道德认同的调节作用[J].心理科学,2016(2) : 392–398. Alhouti S, Johnson C M, Holloway B B. Corporate social responsibility authenticity:Investigating its antecedents and outcomes[J].Journal of Business Research,2016,69(3) : 1242–1249. Aquino K, Reed Ⅱ A. The self-importance of moral identity[J].Journal of Personality and Social Psychology,2002,83(6) : 1423–1440. Bandura A. Moral disengagement in the perpetration of inhumanities[J].Personality and Social Psychology Review,1999,3(3) : 193–209. Bandura A. Selective moral disengagement in the exercise of moral agency[J].Journal of Moral Education,2002,31(2) : 101–119. Bolton L E, Mattila A S. How does corporate social responsibility affect consumer response to service failure in buyer-seller relationships? [J].Journal of Retailing,2015,91(1) : 140–153. Cohen J. Statistical power analysis for the behavioral sciences[M]. Hillsdale, NJ: Lawrence Erlbaum, 1988	. Detert J R, Treviño L K, Sweitzer V L. Moral disengagement in ethical decision making:A study of antecedents and outcomes[J].Journal of Applied Psychology,2008,93(2) : 374–391. Dineen B R, Lewicki R J, Tomlinson E C. Supervisory guidance and behavioral integrity:Relationships with employee citizenship and deviant behavior[J].Journal of Applied Psychology,2006,91(3) : 622–635. Donaldson T, Dunfee T W. Toward a unified conception of business ethics:Integrative social contracts theory[J].The Academy of Management Review,1994,19(2) : 252–284. Effelsberg D, Solga M, Gurt J. Transformational leadership and follower's unethical behavior for the benefit of the company:A two-study investigation[J].Journal of Business Ethics,2014,120(1) : 81–93. Fassin Y. The reasons behind non-ethical behaviour in business and entrepreneurship[J].Journal of Business Ethics,2005,60(3) : 265–279. Fida R, Paciello M, Tramontano C, et al. An integrative approach to understanding counterproductive work behavior:The roles of stressors, negative emotions, and moral disengagement[J].Journal of Business Ethics,2015,130(1) : 131–144. Graham K A, Ziegert J C, Capitano J. The effect of leadership style, framing, and promotion regulatory focus on unethical pro-organizational behavior[J].Journal of Business Ethics,2015,126(3) : 423–436. Grant R M, Visconti M. The strategic background to corporate accounting scandals[J].Long Range Planning,2006,39(4) : 361–383. Hardy S A, Walker L J, Rackham D D, et al. Religiosity and adolescent empathy and aggression:The mediating role of moral identity[J].Psychology of Religion and Spirituality,2012,4(3) : 237–248. Hofmann D A. An overview of the logic and rationale of hierarchical linear models[J].Journal of Management,1997,23(6) : 723–744. Jones T M. Ethical decision making by individuals in organizations:An issue-contingent model[J].The Academy of Management Review,1991,16(2) : 366–395. Kramer M R, Porter M E. Estrategia y sociedad:el vínculo entre ventaja competitiva y responsabilidad social corporativa[J].Harvard Business Review,2006,84(12) : 42–56. La Cour A, Kromann J. Euphemisms and hypocrisy in corporate philanthropy[J].Business Ethics:A European Review,2011,20(3) : 267–279. Meyer J W, Rowan B. Institutionalized organizations:Formal structure as myth and ceremony[J].American Journal of Sociology,1977,83(2) : 340–363. Moore C. Moral disengagement in processes of organizational corruption[J].Journal of Business Ethics,2008,80(1) : 129–139. Moore C, Detert J R, Treviño L K, et al. Why employees do bad things:Moral disengagement and unethical organizational behavior[J].Personnel Psychology,2012,65(1) : 1–48. Mulder L B, Aquino K. The role of moral identity in the aftermath of dishonesty[J].Organizational Behavior and Human Decision Processes,2013,121(2) : 219–230. Orlitzky M, Schmidt F L, Rynes S L. Corporate social and financial performance:A meta-analysis[J].Organization Studies,2003,24(3) : 403–441. Palmer D. Extending the process model of collective corruption[J].Research in Organizational Behavior,2008,28 : 107–135. Podsakoff P M, MacKenzie S B, Lee J Y, et al. Common method biases in behavioral research:A critical review of the literature and recommended remedies[J].Journal of Applied Psychology,2003,88(5) : 879–903. Reed Ⅱ A, Aquino K, Levy E. Moral identity and judgments of charitable behaviors[J].Journal of Marketing,2007,71(1) : 178–193. Sims R R, Brinkmann J. Enron ethics (or:Culture matters more than codes)[J].Journal of Business Ethics,2003,45(3) : 243–256. Tian Q, Peterson D K. The effects of ethical pressure and power distance orientation on unethical pro-organizational behavior:The case of earnings management[J].Business Ethics:A European Review,2016,25(2) : 159–171. Trevino L K. Ethical decision making in organizations:A person-situation interactionist model[J].The Academy of Management Review,1986,11(3) : 601–617. Trevino L K, Youngblood S A. Bad apples in bad barrels-a causal analysis of ethical decision-making behavior[J].Journal of Applied Psychology,1990,75(4) : 378–396. Umphress E E, Bingham J B. When employees do bad things for good reasons:Examining unethical pro-organizational behaviors[J].Organization Science,2011,22(3) : 621–640. Umphress E E, Bingham J B, Mitchell M S. Unethical behavior in the name of the company:The moderating effect of organizational identification and positive reciprocity beliefs on unethical pro-organizational behavior[J].Journal of Applied Psychology,2010,95(4) : 769–789. Vadera A K, Pratt M G. Love, hate, ambivalence, or indifference? A conceptual examination of workplace crimes and organizational identification[J].Organization Science,2013,24(1) : 172–188. Van de Ven B. An ethical framework for the marketing of corporate social responsibility[J].Journal of Business Ethics,2008,82(2) : 339–352. Wagner T, Lutz R J, Weitz B A. Corporate hypocrisy:Overcoming the threat of inconsistent corporate social responsibility perceptions[J].Journal of Marketing,2009,73(6) : 77–91. 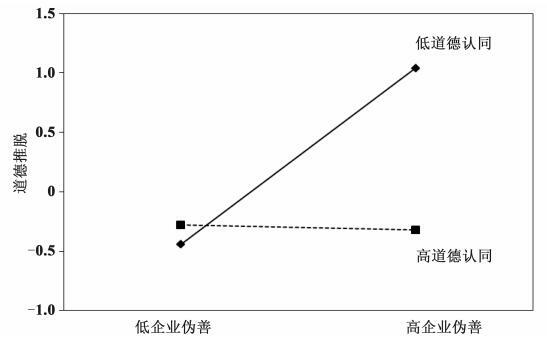 Zhao H D, Kessel M, Kratzer J. Supervisor-subordinate relationship, differentiation, and employee creativity:A self-categorization perspective[J].Journal of Creative Behavior,2014,48(3) : 165–184.